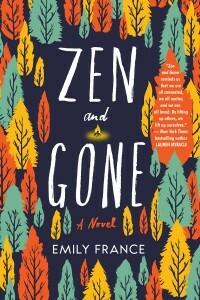 Emily France wastes no time plunging her readers straight into the crisis of Zen and Gone. No sooner do we crack the book’s spine than we find our heroine, 17-year-old Essa McKree, searching the dense forest around a makeshift campsite in Colorado’s Comanche Peak Wilderness for her nine-year-old sister, Puck. It’s the middle of the night, and Puck is flat missing along with Oliver, a Chicago teen she’d met only a month ago. How did we get here? Despite the seemingly idyllic landscape of music, jugglers, dancers and poets, the reality of growing up in Boulder, Colorado is a challenging one for Essa who, as a high school student, finds herself playing parent to her younger sister as well as her mother. Weed is legal in Boulder, and mom works at the pot shop just down the street from the kite store where Essa works with her best friend, Micah. Despite the stressors of a perpetually-stoned matron, life is at least routine. Essa goes to school, goes to work, and goes to the Zen monastery, her sole sanctuary where she has been given the tools to deal with the hand that she’s been dealt. Routine, that is, until Oliver shows up. Oliver is a city kid spending the summer in Boulder with his Aunt Sophie. Ostensibly in town for an internship, Oliver ends up working at the kite shop, and the real reasons for his visit seem somehow to be connected to a sick sister back in Chicago, for whom Oliver is clearly concerned. Fears are clouds drifting by a mountain. Watch them. Tend to them. In times of crisis, Essa recites a Zen gatha, a short verse with which to practice mindfulness, to place her in the present moment. Zen and Gone, like France’s first novel, Signs of You, is spiritually-infused. 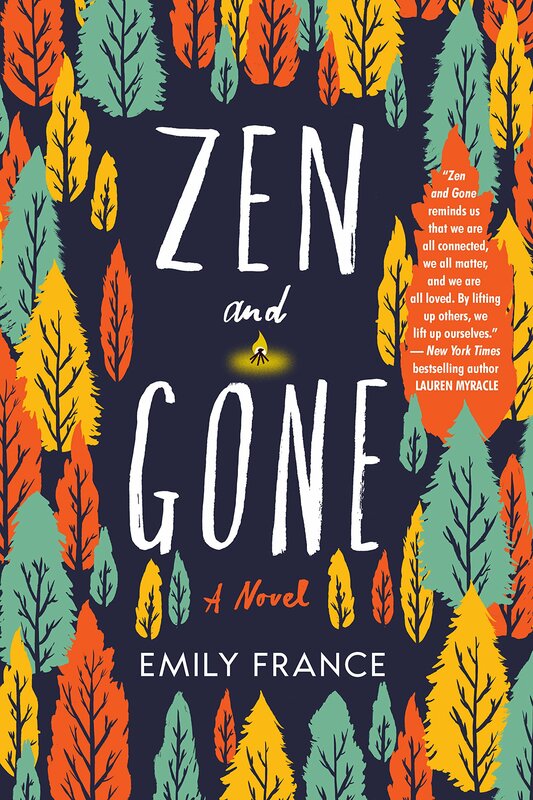 Jesuit mysticism in her debut and Buddhism in this novel serve as the underpinnings to stories about adolescents finding their way in the world in the face of challenging circumstances. Amidst crisis, there is humor, teen angst and – you guessed it, readers – even a little romance. Essa, at times, comes off as perhaps a little too extraordinarily grounded in Zen for a 17-year-old, but this aside, France’s actors are authentic and easy to relate to. The novel’s Boulder setting is equally well-drawn, which is no surprise as the city is where France makes her home. Is Buddhist YA a genre? If not, it should be, and Zen and Gone is a great place for its readers to start.